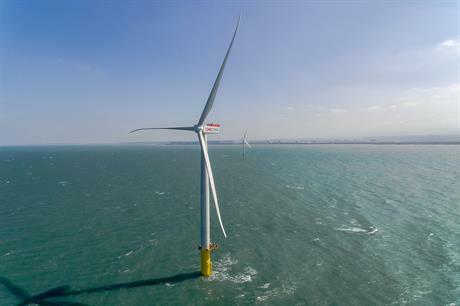 TAIWAN: Danish investment fund manager Copenhagen Infrastructure Partners (CIP) has acquired three offshore wind sites under development in Taiwan. The three sites are located off Changhua in the Taiwan Strait with a potential total capacity is up to 1.5GW. To date, they had been developed Fuhai Wind Farm Corporation, a subsidiary of Taiwan Generations Corporation (TGC). Further development of the sites will be carried out by CIP, in collaboration with TGC, the Danish firm said. The three projects are in the process of applying for the required environmental permits and are still subject to a final investment decision. As part of the acquisition, CIP has entered into an memorandum of understanding with China Shipbuilding Corporation (CSBC), regarding supply and installation services. CIP is the second Danish firm to enter the Taiwanese offshore sector. In January, offshore development leader Dong Energy partnered with Macquarie Capital to acquire 85% of the Formosa 1 project off northeast Taiwan from developer Swancor. Dong opened an office in the country in November 2016 and announced it was carrying out environmental impact assessments at four sites. Taiwan wants to phase-out nuclear power and has a high share of fossil fuel imports. The country has a 20-year subsidy regime in place and has identified a number of sites for potential offshore developments.